Adelaide Comets welcome defending Champions Croydon Kings to Santos Stadium in round five of the South Australian Playstation4 National Premier League on Monday afternoon. 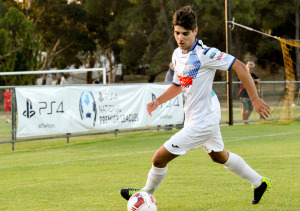 Croydon missed their chance to reach the summit of the PlayStation4 National Premier League after a one all draw with current table toppers Adelaide Blue Eagles, and will look to further make ground on the leaders with a win in round five. Standing in the way, however, is an Adelaide Comets side coming off the back of a convincing 5-1 away win to strugglers Modbury. Comets sit two points behind Croydon in sixth position, with a win seeing them jump up to third if other results go in their favour. As a result, Croydon playmaker Rocky Visconte pencilled in this weekend as an important fixture for both sides. “This weekend is big for all the clubs with two games in a short space of time,” he said. “For us we have Blue Eagles and Comets, which are important because if you win, you pretty much jump each other. With such a hectic schedule in the week leading up to this weekend’s double header, Comets have had a difficult time with their preparation. Coach Jim Karatzas said that preparing for two teams with vastly different styles has been a challenge for his team. “We have been preparing for two games this week, one with Modbury and the other with Croydon,” he said. That sentiment was echoed by Visconte who admitted that Croydon were primarily focused on their top of the table clash with Blue Eagles. “We’ve been preparing as usual, training sessions have been a bit shorter knowing that we have two games in a short space of time. “We keep it one game at a time, we have been worrying about (Blue Eagles) first and Comets second. For Croydon to bag an important win away from home, Visconte believes that sticking to the style they know works will be vital. “We need to play the way we try to play week in, week out. “When we go forward we look dangerous but it’s our defensive minded game plan when we don’t have the ball that wins us the games. He added, “If we put every club under pressure when they have the ball they’re going to cough it up, and we know going forward we can put the goals away. To walk away with the three points on Monday, Karatzas game plan is simple. Be better than Croydon. “We have to be better than Croydon at the basics, and win our one on one battles.